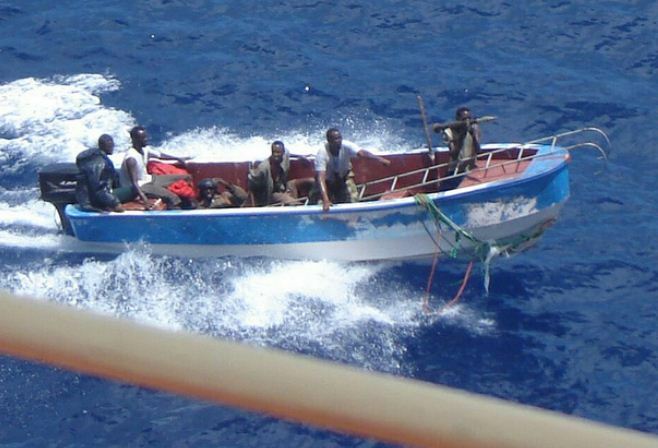 While the number of piracy attacks along the coast of Somalia has decreased, there has been a substantial increase in piracy incidents along the coast of West Africa. As maritime organizations continue to bring in newer regulations and guidelines to protect ship from pirates, seafarers are also required to stay extremely cautious and vigilant when their ship enters a piracy sensitive area. Mentioned are then things seafarers must do before entering piracy affected zone/ high risk areas. Get all the latest available information on piracy sensitive areas your ship is about to enter. Collect all the useful information on piracy activities from important maritime websites. Based on this information, carry out a thorough risk assessment of the vessel to assess the likelihood and consequences of piracy attacks. The ship’s master is also required to prepare an Emergency Communication Plan to Include All Emergency Contact Numbers (provided at the end of the article) and prepared messages which should be ready at hand or permanently displayed near all external communication systems. All important warnings and information on high risk ares should be carefully reviewed. The safety of the ship’s crew is of prime importance. Ensure all measures are taken to prevent illegal boarding and external access to the ship’s accommodation area. The location of the muster station andcitadel should be such that they are easily and quickly accessible by the ship’s crew. Care should also be taken to ensure that the crew members are not trapped inside and are able to escape in other emergency situations like fire. As pirates usually fire at the bridge first to stop the vessel, proper ballistic protection must be provided to the ship’s crew on the bridge during piracy attack. As usually seen, pirates try to board the ship using the lowest point above the waterline as it is easy for them to climb. On the basis of past experience, it is said that the ships having a minimum freeboard greater than 8 meters have better chances of escaping a piracy attempt. However, it is to note that a large freeboard would not be of any help if the ship has easy access points to climb the ship. Special protective measures must be provided to these access points. Ship’s speed is considered one of the most effective ways to prevent a pirate attack. According to sources, there have been no reports of ships having more than 18 knots getting highjacked. As it is difficult for pirates to board at high speeds, ships are recommended to proceed at full speed or at least 18 knots during their transit through high risk area. Refer to important websites such as NATO shipping center to get the latest information regarding pirate attack speed capability. Note: Usually a pirate attack is carried out using small crafts which are supported by bigger vessels, also known as mother ships. This tends to restrict their operations to moderate sea state. Sea state 3 and above are difficult to operate small crafts. So keep the sea condition in mind while preparing for the piracy zone. Keep all the non-lethal weapons handy and ensure they are in proper working condition. Crew members must know how to operate non-lethal weapons during emergency situations. Learn about different anti-piracy weapons used on ships. Note: Several countries have started allowing armed guards on board ships to keep pirates away. Check all fire pumps are working properly as they will be required to run fire hoses during pirate attacks. Also ensure that the engines are working properly as the ship will be required to transit at full speed through the high risk zone. Before entering high risk zone the ship’s crew should be properly briefed on the preparations taken and piracy drill should also be conducted. All personnel should know their duties and must be familiar with piracy alarms and necessary response for the same. Doors and hatches providing access to bridge accommodation and machinery spaces should be properly secured to prevent pirates from them. If required additional means must to taken to properly secure doors and hatches for additional protection. Prior to entering high risk areas, procedures for controlling access to accommodation, machinery spaces and store rooms should be set out and practiced. If possible use physical barriers such as razor wires and electrified fence along the periphery of the ship to prevent pirates from boarding. Also keep water cannons, ballast / fire pumps, and fire hoses ready. Use all kind of barriers that are available to prevent pirates from boarding the ship. Also, check if all the alarms and deck lights are working properly or not. Ensure that the ship’s AIS system and other important navigation equipment are working properly. It is recommended to keep the ship’s AIS system On while transiting the high risk zone. Ensure that the ship’s radar system is working properly. Also, the ship security plan and ship security alert system (SSAS) should also be checked. The above mentioned points are some of the most important things that should be checked before the ship enters piracy zone. However, the precautions to be taken should also include factors such as type of ship, route, weather conditions etc. Do you think anything else also must be considered while entering high risk zone? Let us know in the comments below. Ships are advised to maintain strict anti-piracy watches and report all piratical attacks (actual and attempted) and suspicious sightings to the IMB Piracy Reporting Centre, Kuala Lumpur, Malaysia.